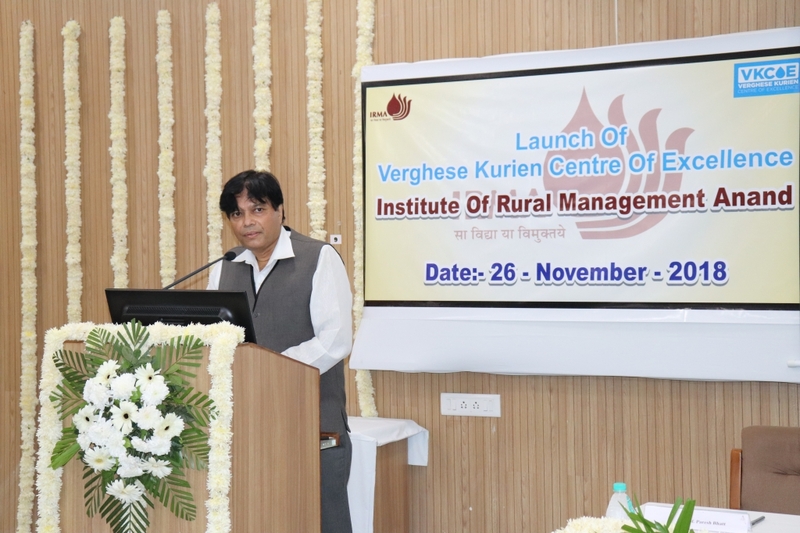 Institute of Rural Management Anand (IRMA) commemorated the 97th birth anniversary of its Founder Chairman late Dr. Verghese Kurien on 26th November, 2018. 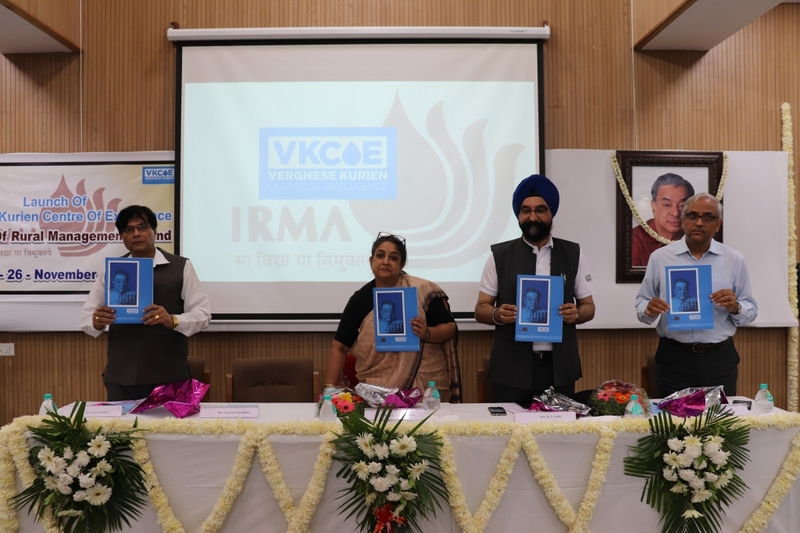 On this occasion, the Verghese Kurien Centre of Excellence (VKCoE) at IRMA was formally launched as well as an information brochure about VKCoE was released. Ms. Nirmala Kurien graced the occasion as Chief Guest. 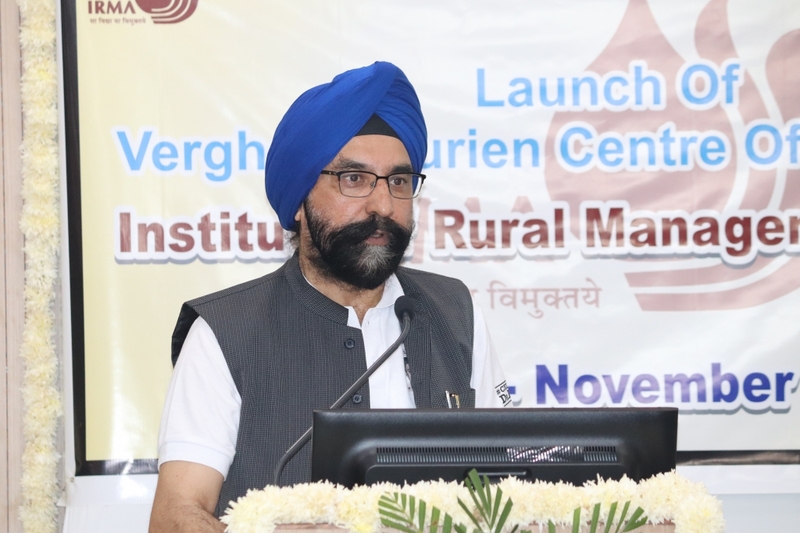 Shri R S Sodhi, MD, GCMMF graced the event as Guest of Honour. Prof Paresh Bhatt, Director-in-charge, IRMA and Prof Harekrishna Misra, Chair Professor, VKCoE were also present. After the auspicious lamp-lighting ceremony, Prof Bhatt gave his inaugural address. It was followed by Shri Sodhi sharing his thoughts on the occasion. 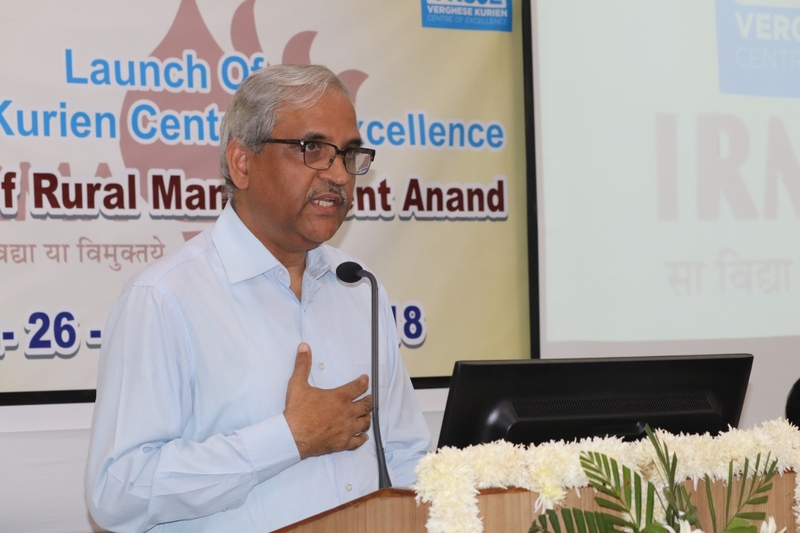 Prof Misra shared the journey of VKCoE, his vision for the centre and the rationale behind the information brochure. 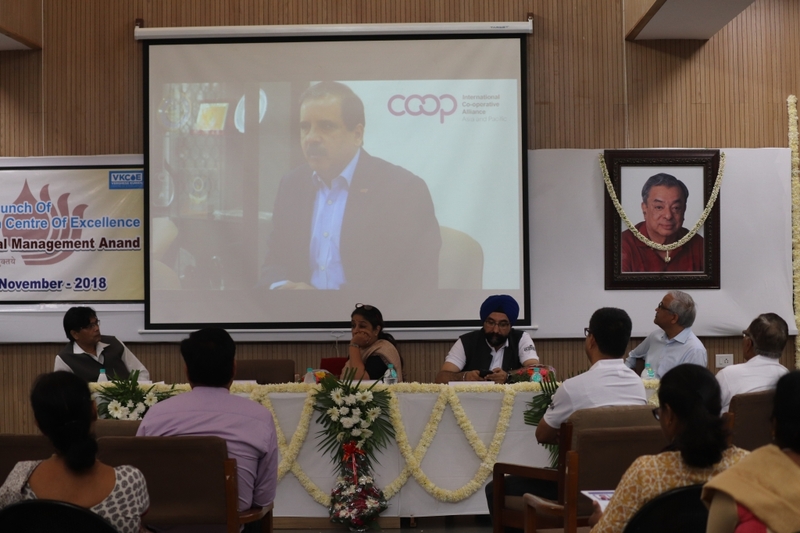 Shri Balasubramanian Iyer, Regional Director, International Cooperative Alliance - Asia Pacific region (ICA-AP) couldn’t grace the event in person but shared his wishes through a specially recorded video message. He also outlined the objectives of signing the MoU with IRMA. 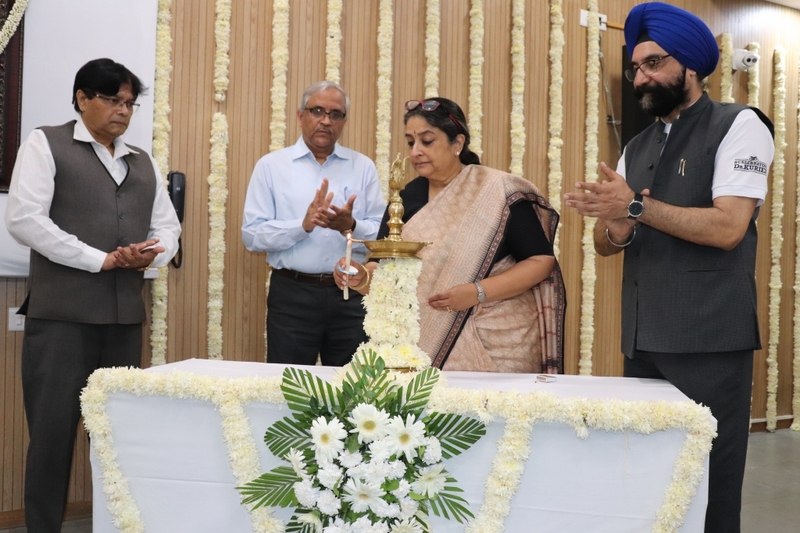 Ms. Kurien in her address fondly talked about Dr. Kurien and his dream of forging a partnership between the wisdom of India’s rural people and the skills of its professionals and how that dream ultimately gave birth to IRMA. The brochure for VKCoE was formally launched by the Chief Guest and the Guest of Honour. Through its information brochure, VKCoE intended to showcase its present work and its future plans. The centre also invited its existing and prospective network partners to collaborate. Disclaimer: The information contained in this website is for general information purposes only. The inclusion of any links does not necessarily imply a recommendation or endorse the views expressed within them.